Plant them in trenches that are 24 inches apart. The trench should be at least 6 inches deep and v shaped. Potatoes should be 10 inches apart. Put the potatoes on a good layer of well rotted manure with their chits facing upwards. These should be ready to harvest in late June after the tops have flowered. 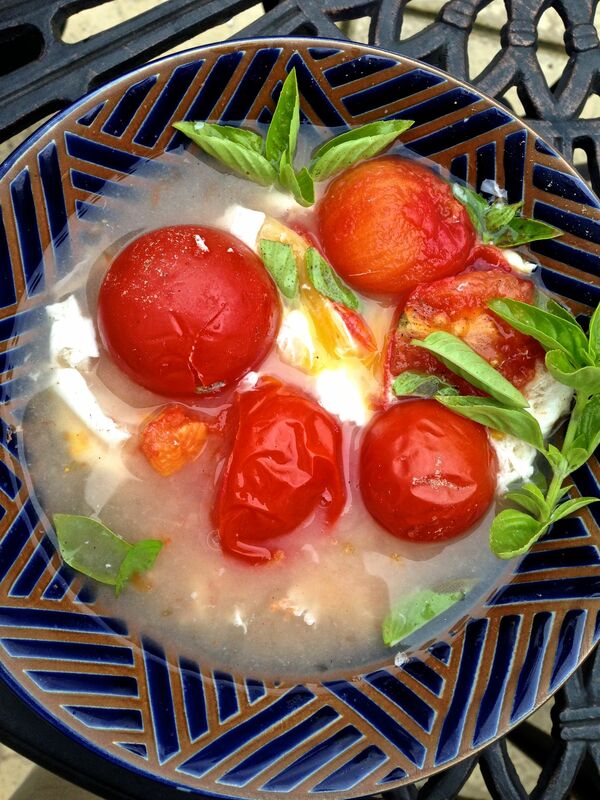 It takes less time to cook this delicious summery soup than it took to write this post! Wash whole tomatoes and place uncut in pot (water should cover tomatoes). Choose extra ripe tomatoes for extra summery taste! Come pick up your Wolves Lane ingredients today! We’re open this Sept 1st, Bank Holiday Monday, 10am-4pm.